Dee Dee Jackson has been the Executive Assistant to one of the founding partners and Office Manager for a global architecture, planning, engineering, and technology firm for over 30 years. IBI specializes in urban design and planning, building and landscape architecture, advanced transportation management and traffic systems, real estate analysis, communications specializations, and software development. During this time, she has developed and maintained policies and procedures for the Accounting, Human Resource and Marketing departments. She continues to manage the overall day-to-day operations. Dee Dee has been a member of the SDA – Orange County Chapter intermittently over the last 29 years. She believes the training, mentoring, and camaraderie of belonging to such an organization is a great asset. When not at work, she enjoys traveling, hiking and riding her scooter. Paul Blanchard has been the Chief Financial Officer of PJHM Architects, Inc. since 2007 and has been with the firm since 1996. PJHM Architects has been providing architectural services for school districts and civic clients throughout California since 1963. Paul manages the financial, human resources, technology, insurance and contracts for PJHM. He graduated from California State University San Marcos in 2002 with a BS in Computer Science. Since joining in 2015 the SDA has become an important resource for knowledge and mentorship for him. He believes brainstorming with others in the industry with similar responsibilities and experience can provide valuable insight and lend confidence to critical business decisions. Paul has been married to his wife Michele since 2005 and they have two elementary school-age boys. Paul enjoys volunteering for leadership positions for his boys’ activities, maintaining the house and his classic Volkswagen bus. Cheryl (Mathes) Champagne has worked in the A&E industry for over 25 years, and is the Controller for tk1sc, an engineering firm located in Irvine, California. tk1sc’s collaborative approach draws on over 45 years of industry experience. tk1sc delivers progressive, balanced and technically sound results through a unique focus on service and communication. Carefully understanding each project’s goals and needs results in architecturally pleasing, sustainable and functional solutions for the lifetime of a project. tk1sc understands that sustainable energy efficiency and environmental quality are whole-building issues. Being aware of multi-discipline programming requirements is critically important to our design team and our clients. Understanding the impact of all trades is key to the seamless integration of our systems into an environmentally responsible building design. Over the years the SDA has been an integral part in her professional career. The programs offered by the SDA give her the opportunity to meet other administrative design professionals, learn and keep updated with current trends, as well as network within the A/E/C industry. She has attended National and Regional conventions, as well as participated on the local Board, monthly seminars, and committees. 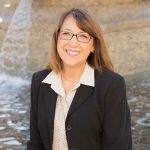 Cheryl enjoys participating in the community outreach programs, such as Canstruction Orange County, Project Playhouse as well as organizing fun tours of new local community parks such as Pavilion Park, Beacon Point, and Parasol Park. Cheryl is a proud supporter of the SDA and enjoys participating in all that the SDA has to offer. Michelle O’Brien started working in the A/E/C industry in 2017 with Douglas Pancake Architects as the Administrative Assistant after graduating with a Bachelor’s degree in Psychology and Social Behavior from University of California, Irvine. Douglas Pancake Architects specializes in innovative design for senior housing and healthcare industries across the United States. Being new to the industry, Michelle enjoys learning every day about the ins and outs of being an administrator for a design firm. SDA has been an immediate source of education and knowledge throughout Michelle’s first year in the A/E/C industry and she attended her first SDA National Convention in 2018 and enjoyed meeting other SDA members from across the country. Michelle is excited to learn and grow more in SDA during her first year serving as an Officer. She is honored to be learning from the rest of the board members and hopes to provide SDA with fresh perspectives and knowledge for the entire Orange County Chapter. Michelle currently lives in Laguna Beach with her boyfriend Chris and enjoys taking advantage of her location in Orange County by going on coastal hikes, jumping in the ocean after work, and wine tasting in Temecula. She also enjoys visiting her family and six cats up in the Bay Area. Betsy Nickless was a co-founder of the Orange County Chapter and has filled all chapter board positions. She was the recipient of SDA’s National Lifetime Achievement Award, the highest honor bestowed by SDA. She is the Business Manager of Mark Scheurer Architect, where she oversees all administrative functions of the company including finance, HR, contracts, and administration of the mid-sized firm that specializes in award-winning residential communities worldwide. She served on the national Executive Committee as Treasurer, President-Elect, President, and Past President from 2011-2015. She currently chairs the national Bylaws Committee. 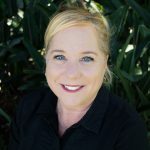 She has also been a member of Canstruction Orange County’s executive board since its inception in 2007 and looks forward to chairing the 9th Annual Canstruction competition this year. Canstruction has provided nearly $200,000 and over 400,000 pounds of food to the Orange County Food Bank since its inception. Betsy and her husband of 34 years, Steve, enjoy trying new local restaurants, and her favorite music is contemporary Christian. She met Steve at the car races on the east coast, where she was in charge of timing and scoring, and he was doing PR work for one of the teams. They have two grown children who were both married within the last two years, so her family doubled! Penny Nelson is the Chief Financial Officer for Douglas Pancake Architects, Inc. in Irvine, California, where she has worked since 2010. Douglas Pancake Architects (DPA) is a boutique architectural practice serving the senior housing and healthcare industry across the Western United States. Penny manages the financial, accounting, human resources, contracts and administrative functions of DPA. Penny graduated from California State University, Long Beach with a Bachelor of Science in Business Administration: Finance. During her 30+ years of experience, Penny directed the financial and office management functions in manufacturing, technology and advertising firms before joining an architectural firm in 2008. Penny finds SDA to be an invaluable source of information, education, and networking, and has formed many great friendships with members across the United States and Canada. Penny attended one SDA Western States Regional Conference, and four EDSymposium Conferences. Penny previously served the chapter one term as Corresponding Secretary, three terms as Chapter President, and one term as Chapter Past President. Penny has been married to her husband Mike for 31 years. They have two adult children: a daughter who is 27 and a son who is 25. Penny and her husband enjoy sailing in their Harbor 20 sailboat, camping in their RV, ballroom dancing, and spending time at Disneyland. Nancy Burt spent many years in administrative positions in the architecture industry and is now the Office Administrator for a CPA firm, Lesley, Thomas, Schwarz and Postma. No matter the industry, SDA continues to provide multiple educational and networking opportunities. Nancy feels there are many benefits to being a member of SDA. One is the ability to query members around the country on any number of topics such as insurance costs, payroll problems and employment-related issues. But the other is by far the greatest benefit and that is the local networking and group of loyal friends that have been made during her membership. Nancy’s fifteen year involvement with SDA has included serving as Chapter President, Co-Vice President, Treasurer and Corresponding Secretary as well as other Newsletter and Conference committees. Nancy enjoys travel (which she does not get enough of!) reading and walking. She and her husband, Kevin, have two sons. Natalie has worked in the A/E industry since 2000 and has been an SDA member since October 2002. She started her active member career writing ‘Member Profiles’ and other articles for the chapter newsletter, volunteers for different SDA and AIA/OC events, then joined the board and has held the positions of Corresponding Secretary, Vice-President, President and Director. She also served on the National level as the Communications Committee Chair (fka Connections Committee) and held the office of National Secretary, National President-Elect, National President and is currently the National Past President. Natalie has attended eleven National Conventions, four Western States Regional Conferences and three Leadership Conferences. She chaired the Host Chapter Party for the SDA National Convention in Los Angeles at the Hollywood Entertainment Museum in 2006. She chaired the Western States Regional Conference in 2007 and in 2008, she chaired the 1st Annual Canstruction Design/Build Competition in Orange County and has been on the committee in some capacity ever since. Natalie’s hobbies include painting, cooking, camping, reading, and loves Game Nights! She has been married to Jason Newman for 17 years, and they love to do weekend get-away’s. Her three favorite people in the world are her beautiful children – her son Drew, her daughter Brittney, and her adorable grandbaby Abigail. Karen Henderson is a Senior Business Development Coordinator with Ninyo & Moore, a professional services company established in 1986 to provide geotechnical and environmental engineering, and materials testing and inspection services to clients in the governmental (federal, state, and local); commercial; and private sectors. Except for a two-year hiatus in the mid-1990s, she has been a SDA/OC member since 1988. 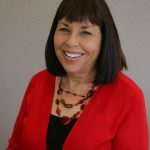 Karen has been an active Orange County chapter member, serving as Secretary, Vice President and a three-term President. With more than 35 years in the architectural arena, Wendy Woolsey has seen many changes. She has enjoyed working for firms that have left their mark on the OC map (Ladd, Kelsey, Woodard Architects (original South Coast Repertory), Architects Pacifica Ltd. (South Coast Plaza on Bear St.) and Bassenian/Lagoni Architects (The Tides). In 2015, Wendy retired early from MCG Architecture, although she plans to continue her support of the SDA/OC Chapter. Wendy first discovered the SDA in 1986 and credits the knowledge she gained over the years through numerous seminars and conferences, along with networking with her peers, to contributing greatly to her success. Having served as President, Recording Secretary and Corresponding Secretary of our Chapter, she is continuing to serve as a Director. The SDA/OC Chapter honored Wendy as the first “Member of the Year” in 1994 and again in 2008. A career goal was realized in 2003 when she became SDA certified. She has enjoyed participating in HomeAid Orange County’s Project Playhouse and Homeless Awareness events and volunteering at Canstruction as part of the SDA/OC community outreach. Wendy cherishes friendships made with SDA members and has wonderful memories from educational and social events through the years. As former Chief Financial Officer and Principal of Danielian Associates, Connie was responsible for the firm’s financial and business administrative activities. Prior to joining Danielian Associates in 1999, Connie successfully managed a number of architectural firms that specialized in the design and construction of custom homes, restaurants, libraries, community centers, office buildings, and the master planning of residential developments. Connie’s background provided the leadership team at Danielian with a demonstrated excellence and understanding in the operations of architectural firms. Connie held a number of positions with the AIA Orange County Chapter from Component Executive to Executive Director, representing the chapter on State and National levels. In recognition of Connie’s voluntary contributions to the architectural industry, she was recognized in 1994 with the title Hon-AIAOC. After serving the A/E/C Industry for forty plus years, Connie retired in 2016 but remains an active emeritus member of the Society for Design Administration. Judy attributes much of her professional success to her involvement with SDA, where she has had the opportunity to learn all aspects of operating an architectural firm. She held the office of Chapter President for four terms. At the 2002 National Convention, Judy’s hard work and continuing education paid off as she was honored with the prestigious title of SDA Certified. Judy retired in 2007 as an Associate at Nadel Architects, Inc. It took about eight months to get used to being retired, but now wonders how she managed to work nine hours a day and do everything she does now during the day. Judy continued her role as Director of the chapter through 2010; then retired her National membership at the beginning of 2011. On July 23, 2011, the Chapter board and several member friends surprised her with a lovely luncheon and presented her with an Honorary Membership. Judy has been married to her husband Dale for 32 years and has one daughter and three grandchildren. In 1966, Carl Irwin founded Irwin Architectural Group with a focus on architecture specializing in the design for the aging and senior housing. The dba today, Irwin Partners Architects, is headed up by his son, Greg Irwin and the firm continues to play an instrumental role in the evolution of design of communities and care centers for the aging. Carl is a graduate from USC, enjoys golfing and travel. Carl was voted Honorary Member several years ago and has fully supported SDA and likes what the association brings to his office. Mark Lowry is director of the Orange County Food Bank. During his tenure, the quantity of food distributed by the Food Bank has grown from two million pounds per year to nearly 20 million pounds annually. Over 100,000 vulnerable people now receive food from the Orange County Food Bank each month. The Orange County Food Bank distributes food to nearly 400 other charities. Those organizations include churches, senior centers, shelters, community centers and social services agencies. Those charities feed seniors on fixed incomes, individuals with disabilities, the unemployed, homeless persons, and the working poor. The Food Bank also feeds 1,400 people directly each day in communities throughout the region. 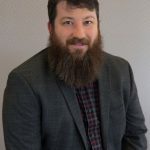 As an advocate, Mark works closely with elected officials on the local, state and federal levels, on issues related to social and economic justice. He works specifically on agriculture and tax policy and improving access to basic assistance programs including the Food Stamp program. Mark has served on the Board of Directors and as an officer of several local, state-wide and national groups, including serving as President of the California Association of Food Banks. Under his leadership, the Food Bank has, on two occasions, received the annual Hunger Fighter Award from the California Hunger Action Coalition. The Orange County Food Bank is a program of the Community Action Partnership of Orange County, a private non-profit charity.